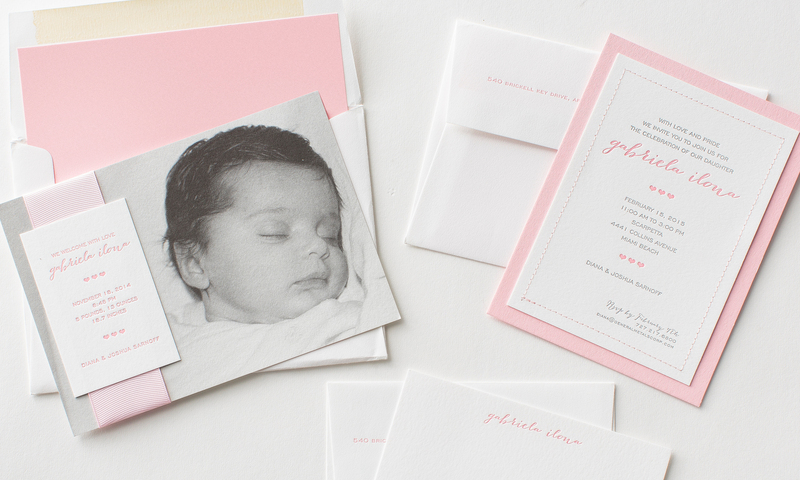 This sweet, stitched birth announcement set is letterpress printed for a simple, yet chic design. 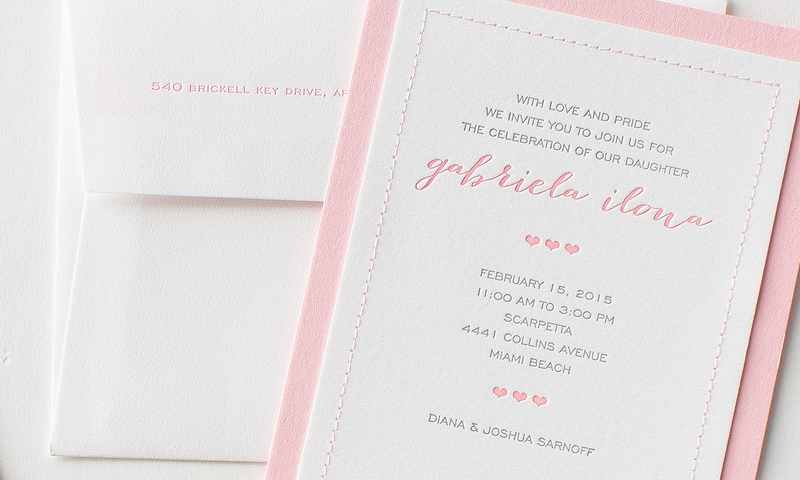 The pink ribbon on the birth announcent pairs beautifully with the pink stitching on the baby naming invitation. The pink accent color coupled with the black and white photograph is a classic combination that never goes out of style.